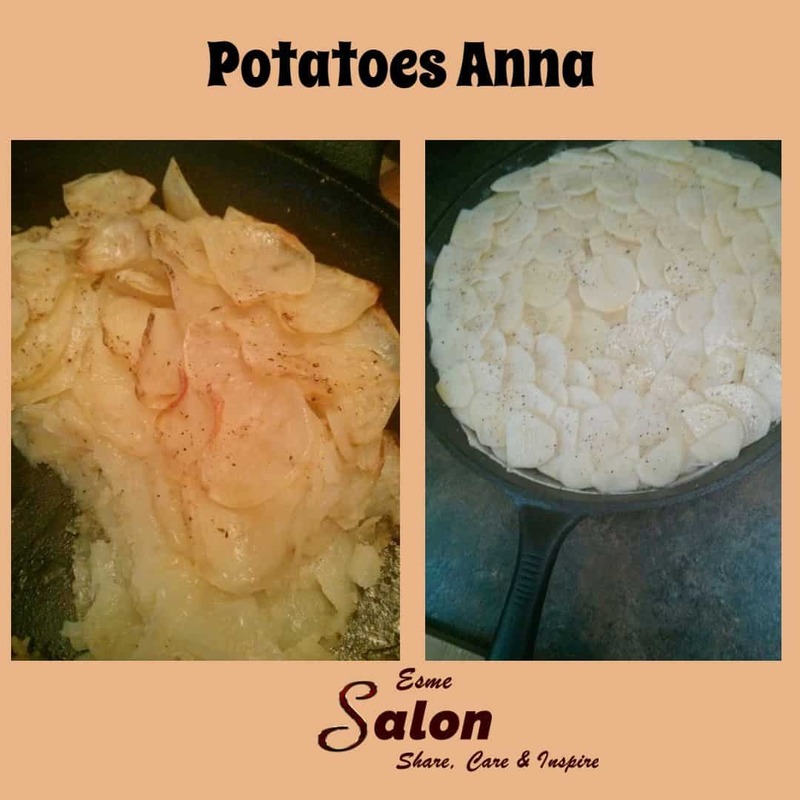 Finely sliced potatoes, packed in concentric layers in a cast iron pan. Butter, salt, and pepper each layer. After that, uncover and continue to bake at 360°F until tender and browned. It was super easy and delicious! Served it with baked Trout (apricot jam, soy sauce, black pepper) and veggies (leeks, mushrooms, garlic, kale, lemon juice, dill, salt, pepper). It was a dinner to remember!